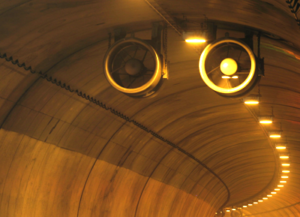 We know that tunnels are underground passages used for underground transportation facilities.For the Lining and Ventilation of Tunnels is an important process in the construction of tunnel ventilation system. 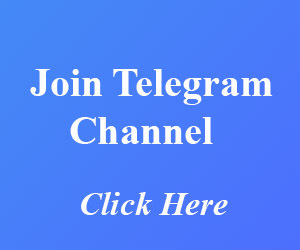 Nowadays transportation in huge hilly regions is avoiding by construction a tunnel through hills.Therefore the importance of tunnels is widely increasing in the modern era. The two important process in tunnel ventilation requirements are lining and tunnel ventilation is briefly described below. What are the classification of tunnels? 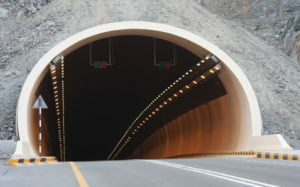 The tunnel lining definition means the finishing touch given to the cross-section of a Tunnel. When it is desired to permanently protect the material surrounding the tunnel. When the cohesion between masses of particles surrounding the tunnel is not sufficient. When the tunnel is subjected to internal or external pressure or heavy ground pressure. To increase the strength of tunnel cross-section. –For supporting roof & walls of the tunnel while construction. 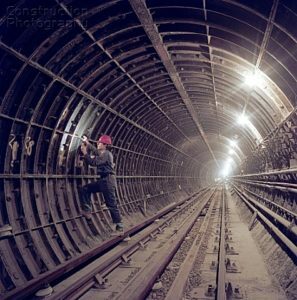 c.What are the Materials used for tunnel lining? What are the safety requirements of a tunnel? effective only when the orientation of tunnel is along the wind direction. Have the advantage of both the process. After which, the blowing system operates for the rest of working period to supply fresh air.